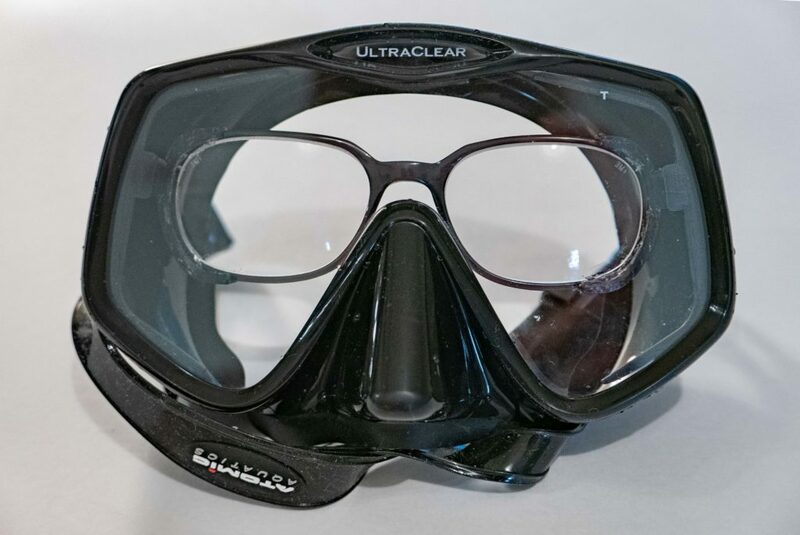 This is a custom bracket for holding a pair of prescription lenses inside a scuba dive mask. The goggles here are the Atomic Frameless 2. 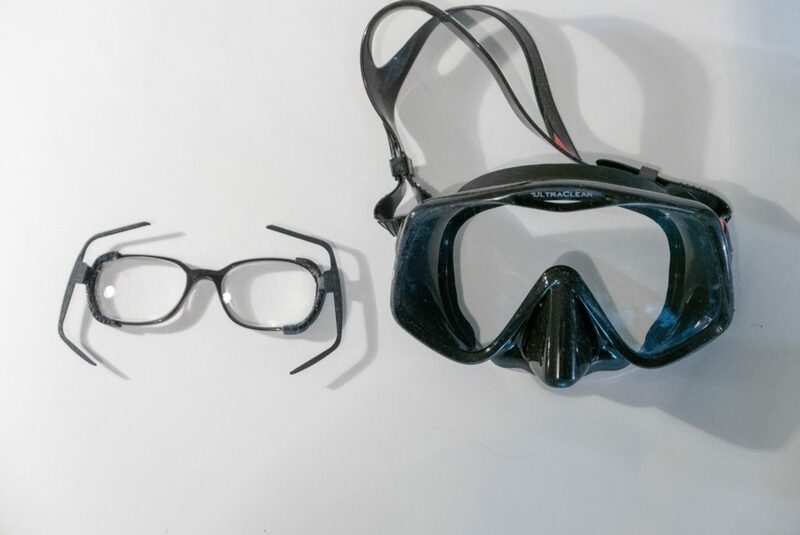 These goggles are great quality, have a wide field-of view, and have enough clearance to fit a pair of glasses inside. I designed the bracket in Autodesk Inventor and printed it on a 3D printer. You can find my design files on Thingiverse here. 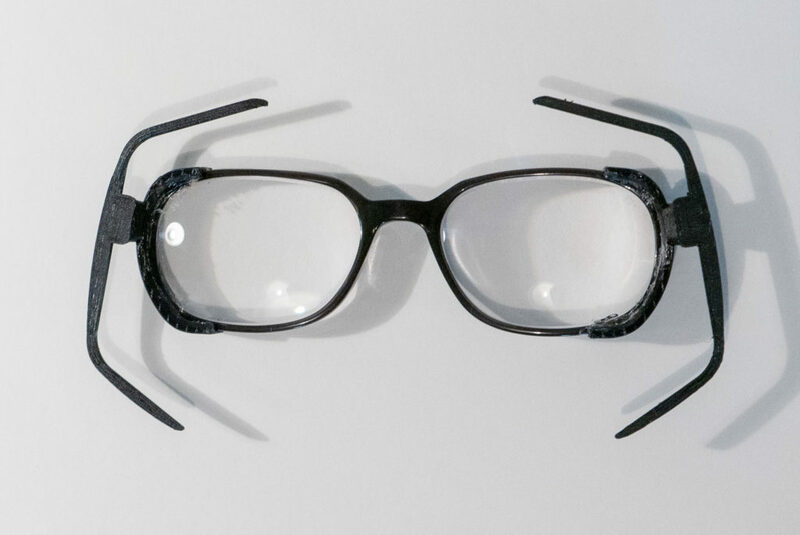 If you want to customize this bracket to fit your specific glasses and mask, you can get a free copy of Autodesk Fusion 360 here. 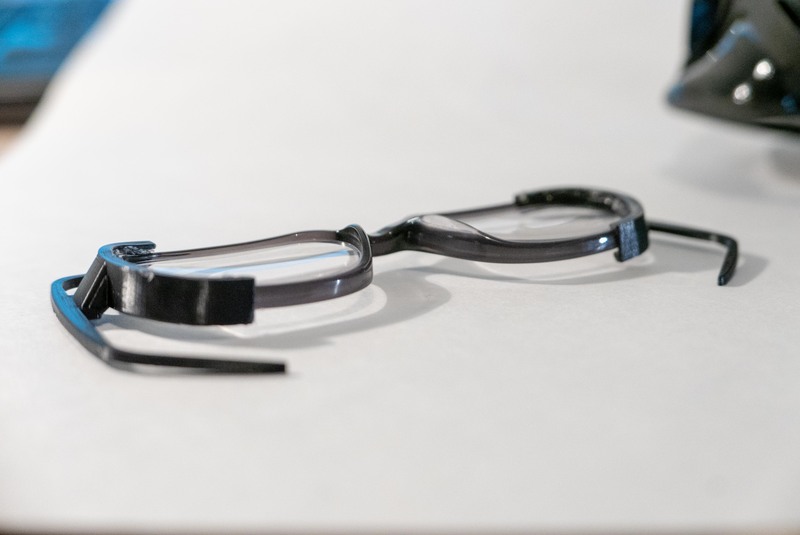 Aquaseal is a great choice for gluing the bracket to the glasses. You can also use hot glue – it has good adhesion to PLA plastic and is non-destructive. I am very farsighted (+5) and these are the cheapest lenses available (N=1), so they are quite thick. They still fit, but there is not much clearance between my face, the lenses, and the mask. If you have a bad prescription like me, I’d recommend using high index lenses. This is a particularly cheap and effective way to get prescription goggles, but it requires a bit of design and 3D printing knowledge. Removing the glasses from the mask for cleaning is quick. Additionally, there are no modifications to the mask.